on form in Oxfordshire is a biennual sculpture exhibition that Paul has taken part in since 2002. Growing steadily in size and calibre the show has nurtured many artists through their careers. It is with great pleasure that Paul installed his work there last week, setting up seven new sculptures, some made specifically for the site. 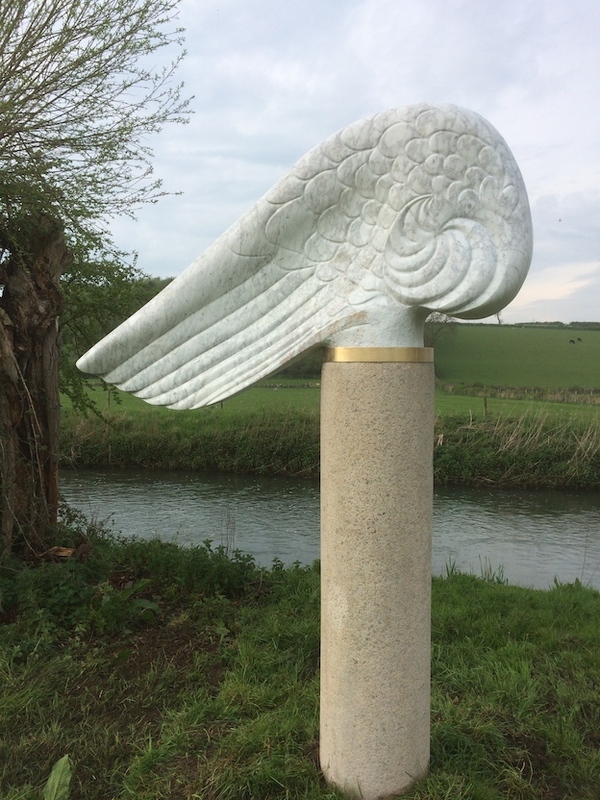 This winged piece is one of a pair, made from Italian Carrara marble they sit on 18th Century Cornish granite pillars. The show opens on 12th June and is highly recommended. This entry was posted in news on September 6, 2016 by Paul Vanstone.